University of North Press has announced the publication of "T-Bone Whacks and Caviar Snacks" by travel and food authors Sharon and Tom Hudgins. This is the first cookbook in America to focus on the foods of the Asian side of Russia. Filled with fascinating food history, cultural insights and personal stories, it chronicles the culinary adventures of two intrepid Texas who lived, worked, and ate their way around Siberia and the Russian Far East. 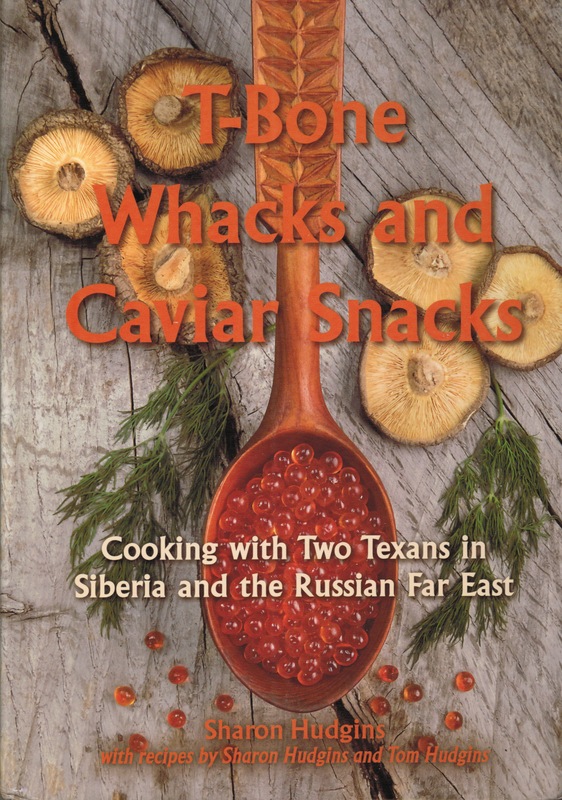 Featuring 140 traditional and modern recipes, with many illustrations, ""T-Bone Whacks and Caviar Snacks" includes dozens of regional recipes from cooks in Asian Russia, along with recipes for the European and Tex-Mex dishes that the author and her husband cooked on the "Stoves-from-Hell" in their three Russian apartments, for intimate candlelight diners during the dark Siberian winter and for lavish parties throughout though out the year. You'll learn how to make fresh seafood dishes from Russia's Trans-Siberian luxury train and flaming "Baked Siberia", the Russian twist on "Baked Alaskan". And here's the bonus: all of these recipes can be made with ingredients from you local supermarket or your nearest delicatessen.